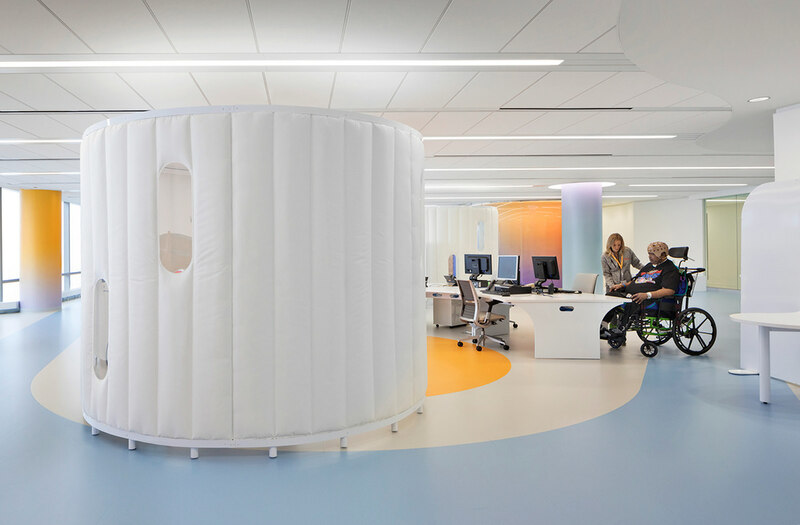 The Shirley Ryan AbilityLab is the number one destination for adults and children with the most complex conditions, from brain and spinal cord injuries to stroke, cancer, and amputation. 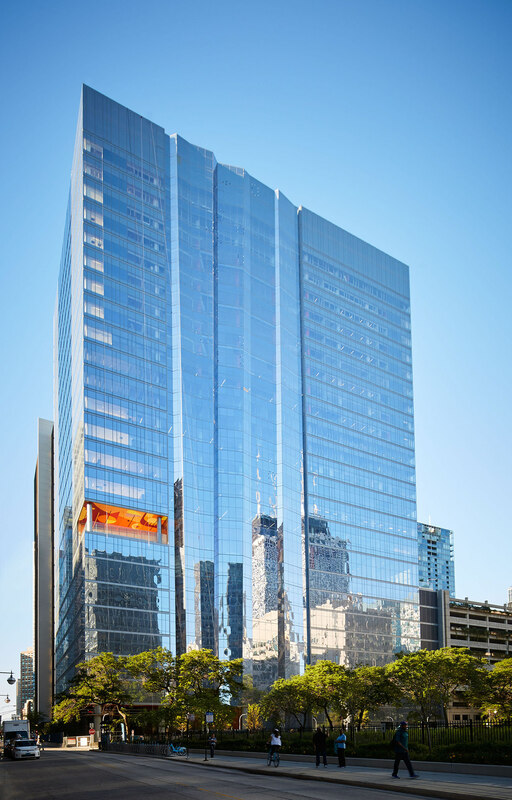 The 1.2M SF facility is the first-ever “translational” research hospital where clinicians, scientists, innovators, and technologists work together in shared, flexible spaces surrounding patients, discovering new approaches, and applying research in real-time.The Client’s vision was to reshape the future of rehabilitation and transform how discoveries are applied to advance human ability. The design reflects that vision inside and out. 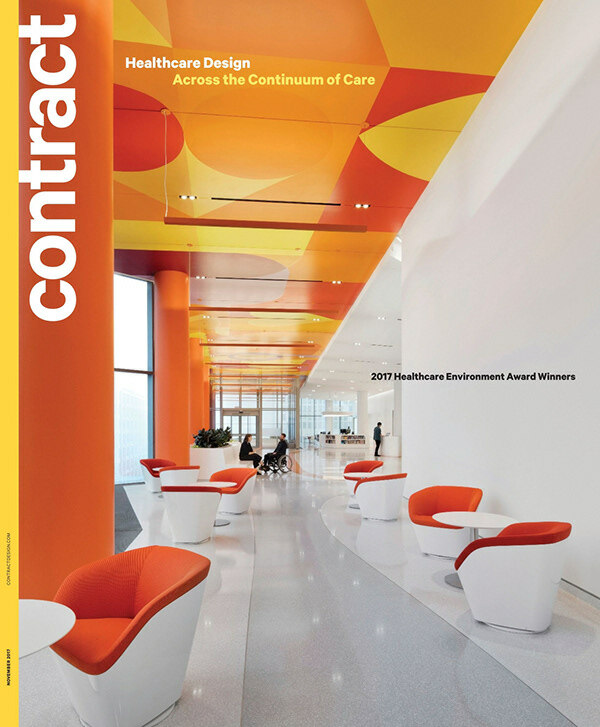 Concepts integral to translational health drove planning and design. 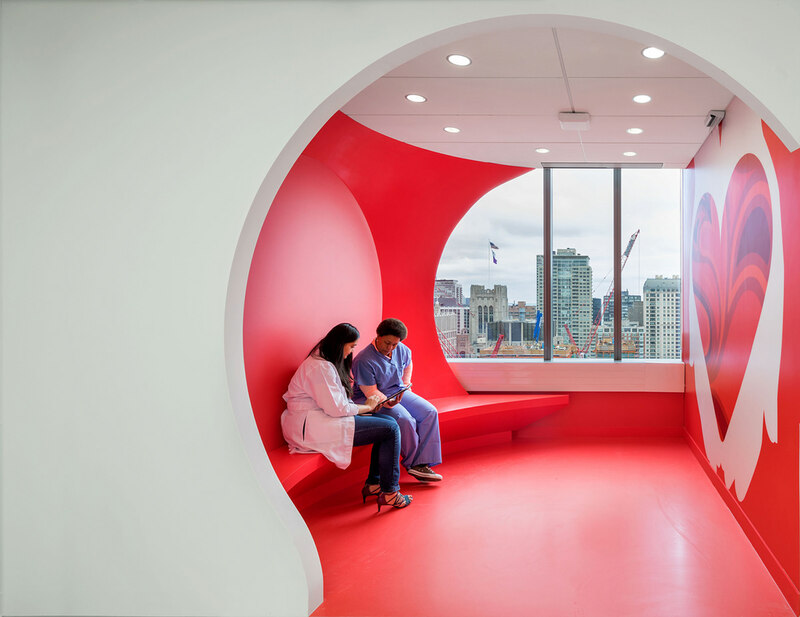 Research doesn’t just coexist with patient care, it’s integrated into the clinical environment and engages patients in the process. 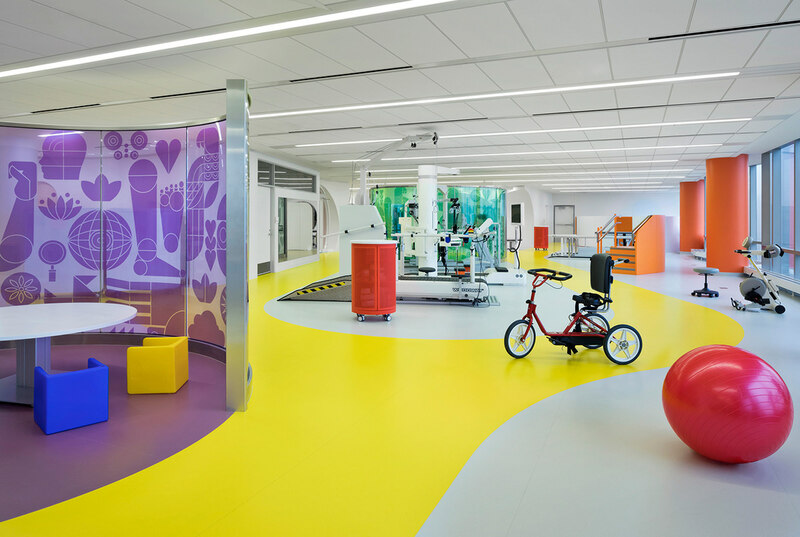 Each of the five ability labs – ‘Think + Speak’, ‘Legs + Walking’, ‘Arms + Hands’, ‘Strength + Endurance’, and ‘Pediatric’ – act as the “front stage” for patients to work with clinicians and researchers. Each lab also has a private, heads-down “back stage” for analysis and planning. Likewise, technology is embedded throughout. Clinicians and researchers measure every aspect of patients’ activities to mine data that improve outcomes and enable researchers to learn and share new insights in real-time. 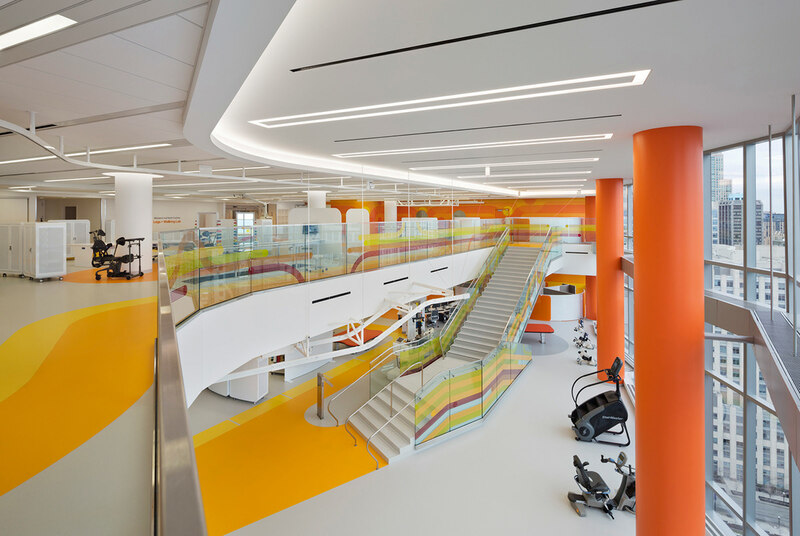 Every inch of the building is designed for care; every inch is designed for research. 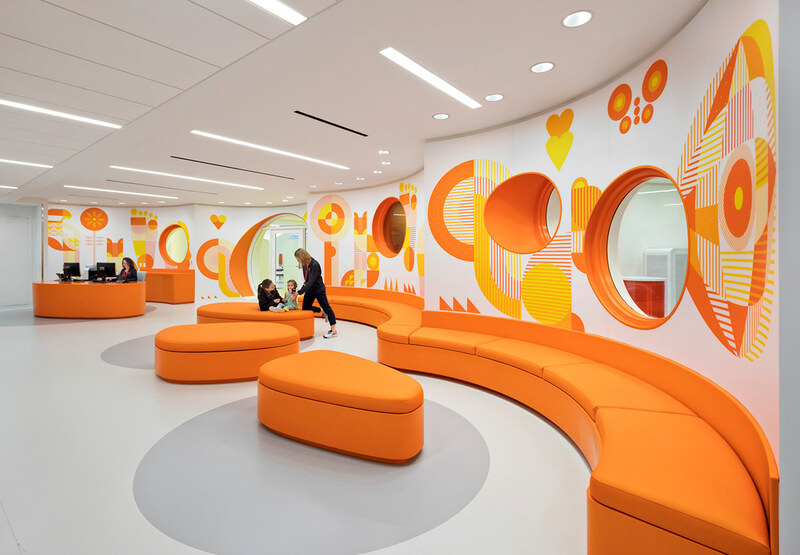 The patient experience has multiple touch points and extends along the entire journey, from the entrance to the patient rooms. 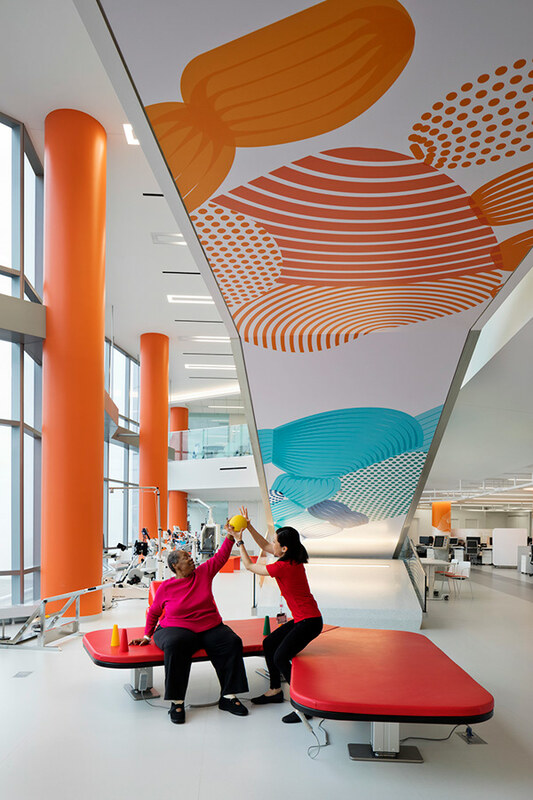 This experience is manifested through the design in many ways, from the extra wide corridors, which are curved at every corner for better sight lines and mobility, to optimized spaces that communicate wellness, such as the graphic ceilings designed for those lying on their backs. 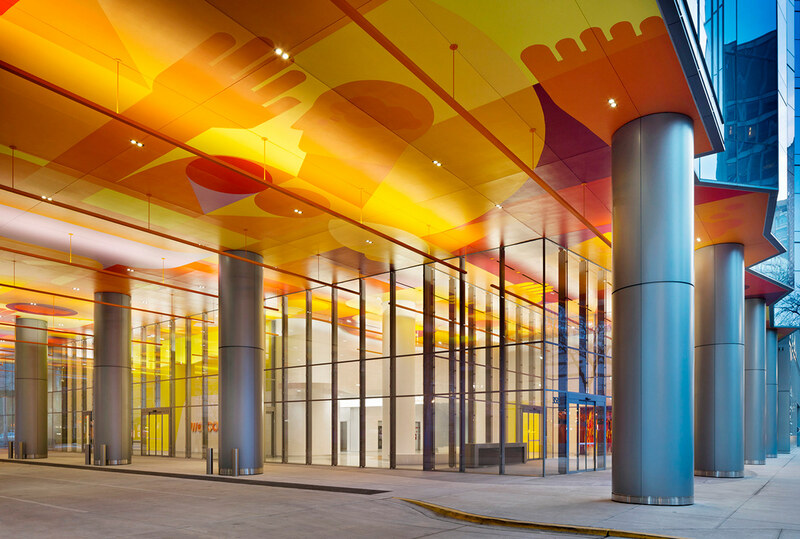 Motivational environmental graphics and wayfinding support the patient experience. 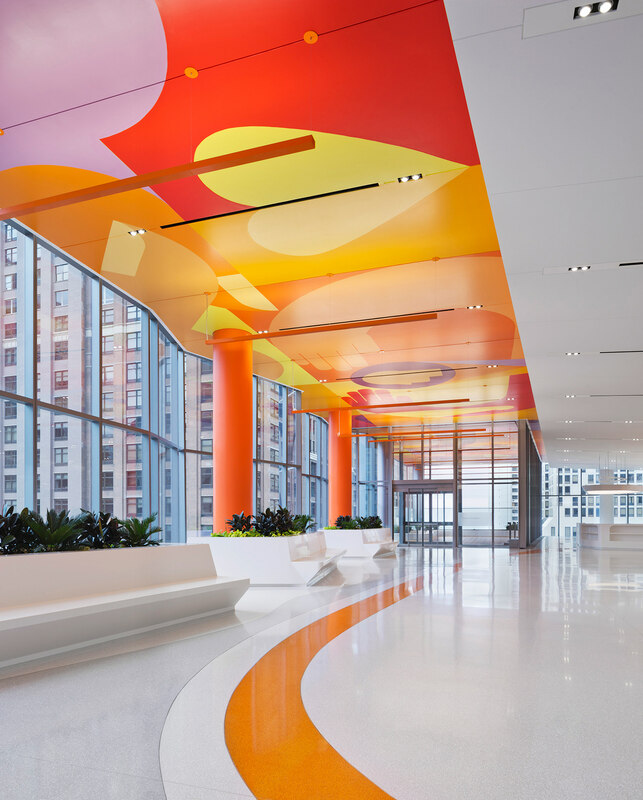 The east and west corridors are punctuated by vistas to give patients and visitors a break from the rigorous therapy with every opportunity taken to offer fantastic views of Chicago and Lake Michigan.